Alright, after a great weekend in the mountains and hopefully getting my internet back to normal, I am ready to get back in the swing of things. I'm gonna start of with a great Album Of The Day. What would Stoner Rock/Heavy Metal have been without these guys? This also happens to be my favorite album of all-time. 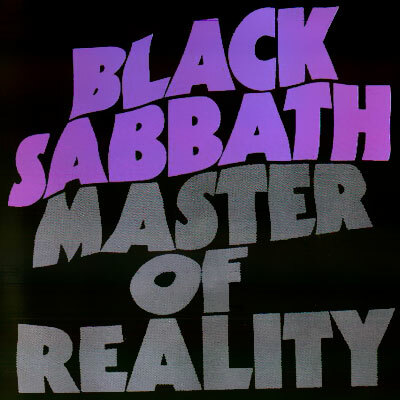 That album would be "Master Of Reality" by the one and only Black Sabbath.